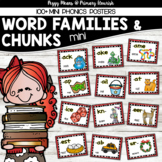 94 Phonics Mini Posters for many common Word Chunks and Word Families. 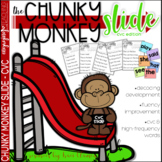 Also use for ‘bossy r’ combinations, short and long vowels, consonant blends, and vowel and consonant digraphs. A fantastic, comprehensive value! 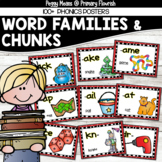 If you have limited wall space, put these in a binder for quick student reference. 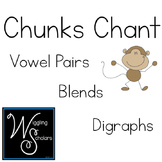 A list of words to use to help students practice the skill of chunking the sounds and then blend the sounds together to read the words. Students put parts of plastic eggs together to form new words. 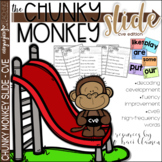 This activity can be used in a class lesson, small groups, or centers. 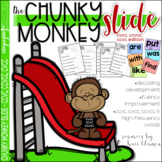 Students use beginning sounds and chunks together to form new words. 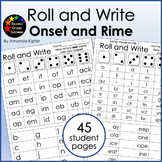 This activity promotes decoding skills. 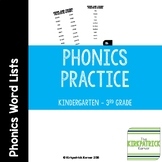 The first activity asks students to look at 10 words and find the words within them. 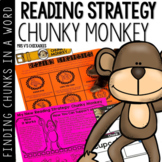 It then asks students to use those words to create sentences to reinforce the concept and has students think about the words in their context. This could be used as a mini lesson activity or a whole class activity.